My children love Minecraft, and they would play it all day if I let them. But now and then I like to drag them away from the screens for some crafting. There are some great ideas out there, and so I thought I'd pull together some different Minecraft themed crafts. I recently helped my son to make a selection of Hama bead Minecraft keyrings to give out to his friends. There are lots of different designs online which you can use, and I found a good selection here - Minecraft designs for Hama beads. The pixellated design of the Minecraft world lends itself perfectly to Hama or perler bead crafting, and there are so many different elements in the game that you could use. 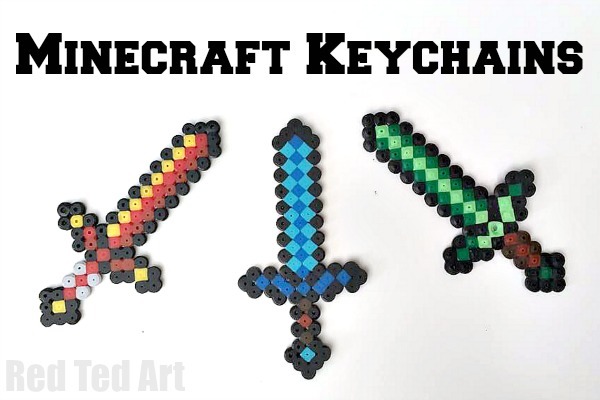 These Minecraft keychains are made to look like some of the different swords in Minecraft, another really simple yet effective design that can be customised to use your favourite colours. All of these Hama bead pieces could be used to make magnets or as an embellishment for a card. I think they'd also look very cool mounted in a shadow box frame for the wall. 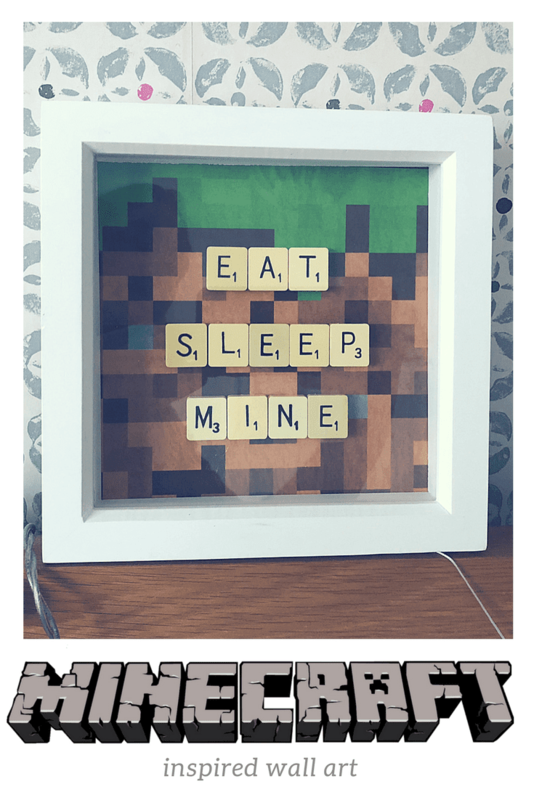 Talking of shadow boxes, a piece of Minecraft inspired decor that I love is this Minecraft inspired wall art. 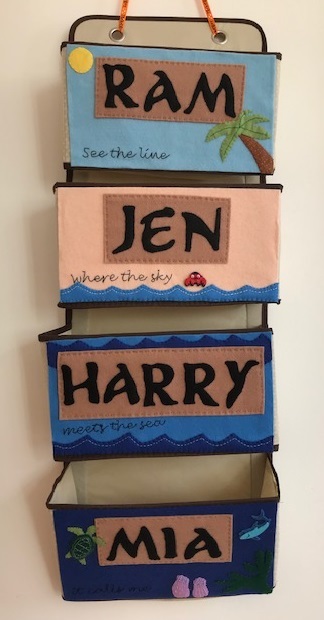 It's really easy to make and it looks amazing, it would be perfect for a child's bedroom, or to hang in the place where Minecraft is usually played. Some other great Minecraft wall decorations are these Large Wooden Minecraft Characters which are really easy to make and only require a few materials. 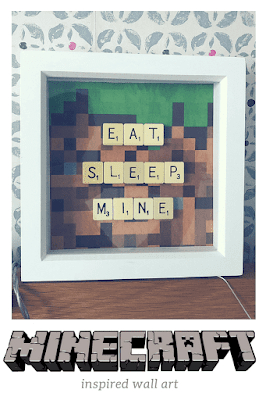 There are lots of other Minecraft room decor ideas over there too, it's definitely worth a look if you really want to indulge your child's love of Minecraft! 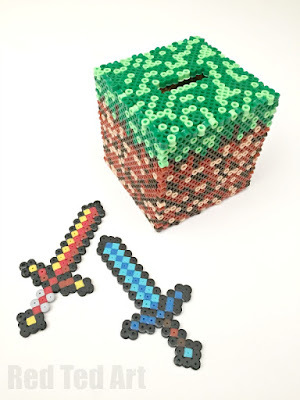 Going back to Hama beads, if you are looking for something a little more complicated I really love this Perler Bead Minecraft Moneybox. I always love to make something which has a practical purpose, and it looks amazing. For my son's Minecraft party I put together some Minecraft themed party bags which I was very proud of. One simple craft which was very popular was these Minecraft bookmarks. They are just printed, laminated, and a coordinating ribbon added to the bottom. 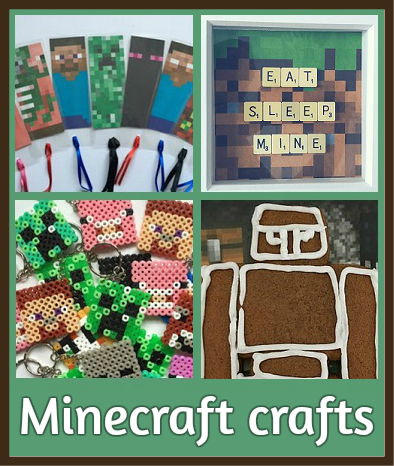 The printables that I used below are sadly no longer available, but you can find similar ones here, including Minecraft bookmarks that you can print and colour - Free Minecraft printables. They'd make a lovely gift for a friend! Another great party bag or present idea would be a Minecraft in a Jar gift. You just need a few little toys and sweets in Minecraft colours gathered together in a decorated jar. 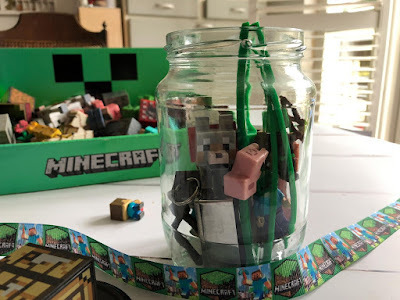 If you children want to act out their Minecraft games in real life, it's easy to make them some simple props, and they also make great decorations for a Minecraft themed party. You can find all sorts of ideas here - DIY Minecraft Party - Swords, Torches, Pickaxes and More! Or if you want something for the children to work on by themselves, show them this Easy Minecraft Bookmark video from Red Ted Art, and let them have a go! 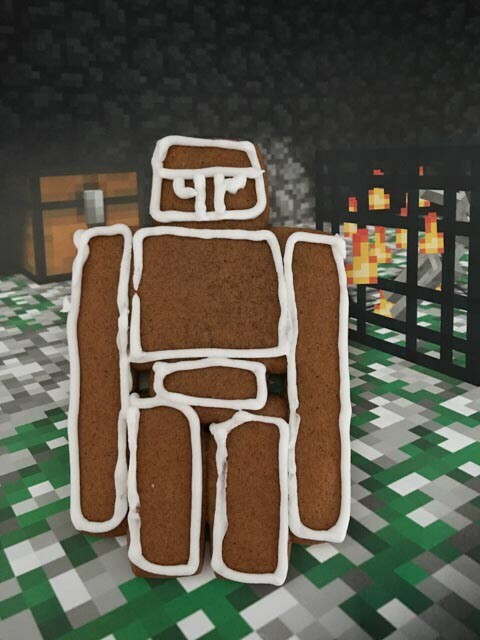 Finally, if you want to take your love of Minecraft into the kitchen, why not make some Gingerbread Iron Golem Biscuits. They look delicious, and this would also be an ideal activity for a themed Minecraft day! You might also like my blog post about the themed Minecraft party that I held for my son, it was a big success! And if you have a young Minecraft fan in the house, you might like my list of gift ideas for a Minecraft fan. This is such a great round up - thanks for including me!